So, you’re a little bit older now and you’re working out in a commercial gym for the very first time. Maybe you’re determined to get back to your disciplined fitness habits after many years away from the gym. That’s awesome. It’s important that you get off to a good start so you’ll get these habits ingrained into your body, mind, and lifestyle and keep doing them for the rest of your life. I’d love to help you do just that. 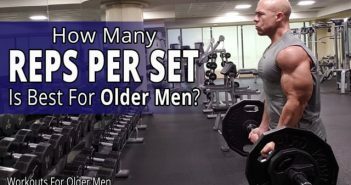 These are tips for older men working out in a commercial gym for the first time. 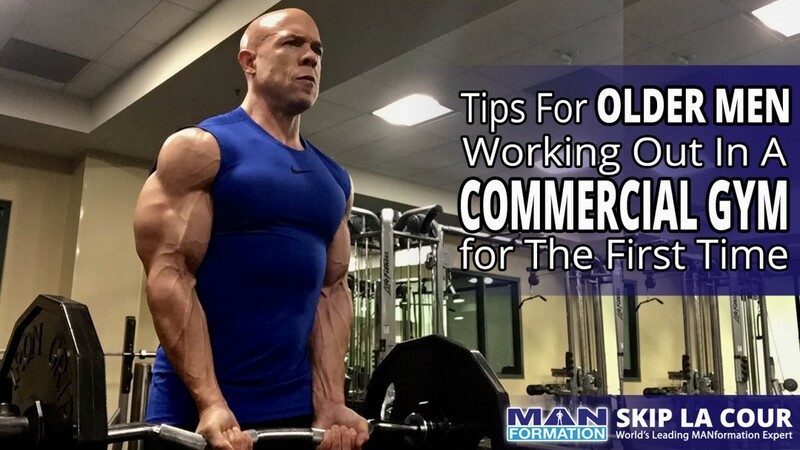 In this blog post, I tell you everything you need to know to get off to a great start when you’re an older man working out in a commercial gym for the first time. And, because the internet is often full of confusing and contradicting fitness information from extremely passionate and super-focused fitness experts, I’ll eliminate all of the things that aren’t nearly as important than what you’ve been led to believe. If you want know how to workout in a gym or want to know gym workouts for beginners, these tips will be a huge help. 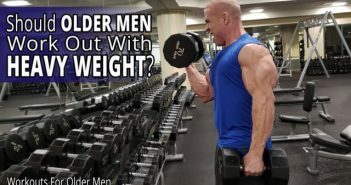 If you want a good workout plan for older men or a good workout plan for men in general, follow what I share with you in this blog post. Working out in a commercial gym when you’re older can be a productive and enjoyable experience. If you want great gym workout tips, gym workout plans, or how to put together awesome gym workout routines, these strategies will get you going in the right direction. 1. Carry yourself in the gym like the winner you are outside of the gym. Going into a new environment like a commercial gym without knowing exactly what to do can be intimidating for anyone. Relax. You’ll soon discover that the gym is filled with men who are a lot like you who have just been going there longer. 2. You can work to build muscle AND lose body fat at the same time. You don’t have to wait until you lose the extra body fat before you start lifting weights to build muscle. Regardless of what the extremely passionate fitness experts sometimes preach on social media about it being “impossible” to do both at the same time, this won’t apply to you. The debate and implications only apply to men who’ve been training a lot longer than you. 3. Pay close attention to your diet so your work in the gym will show. The hard work you’re doing on the treadmill and the weight you’re lifting in the gym will be neutralized if you don’t back up what you do with rock-solid eating habits. You may be burning calories that will help lose the body fat but then just adding them right back by overeating during your next few meals. You might be building quality muscle but you’ll never see it because it’s covered by too much body fat. 4. Limit your workouts to one hour. Although you’re eager and willing to do the work, you don’t want to do too much too soon. You want to establish a long-term healthy and fitness lifestyle. At the beginning of your journey, create manageable habits that you can continue for a long time. Establish consistent, sustainable daily patterns before making your life too complicated. Learn how to become more effective and efficient with what you do in the gym instead of just logging in more hours. 5. 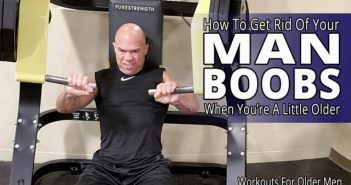 Start off using weight machines until you are comfortable. Although the fitness experts on social media will tell you that the “big boys” in the gym always use dumbbells and barbells, all you need to do is stimulate the targeted muscle group. You can do that extremely effectively with weight machines. Lifting weight correctly takes a certain amount of skill that you can’t expect to have the first day you walk into the gym. Weight machine training might be the best strategy while you are getting your mindset and lifestyle organized. 6. Exercise execution is more important than the training routine. Fitness experts on social media have constant debates about which is the “best” training routine that produces “optimal” results. At this stage, you don’t have to concern yourself with all of that confusion and misinformation. Most training strategies will work well for you at this stage of your journey when you focus on proper exercise execution. You can make adjustments as you gain more experience. 7. Invest in a personal trainer. When you think about all of the confusion, frustration, and overwhelm that had you put off starting your regular workouts in the past, you don’t want to experience those feelings any longer. Hiring an experienced personal trainer who will help you establish good training, eating, mindset, and lifestyle habits is probably one of the best investments you can make in yourself. 8. Email me pictures and videos of the equipment in your commercial gym and I’ll help you put a routine together. Send me pictures and videos at [email protected]. I’d be happy to help you get off to a great start working out in a commercial gym. I just need to know exactly what you have to work with at yours. 9. Get on my email list so I can direct you to every blog post, articles, live video, produced video, action-packed picture, training routine, and podcast that I post on the internet. You can get FREE updates by signing up for them at www.SLTips.com/older-men. 10. Make sure that you’re on all of my social media platforms so you don’t miss anything. Every social media platform has a different “language” and a different way for you to learn. Be sure to ask questions in the comments sections too. I’ll be happy to help you. YouTube, Instagram, Twitter, Periscope, Google Plus, Linkedin, and Tumblr at all @skiplacour. Facebook is at @SkipLaCourPage.